“Somehow,” writes Lara Prior-Palmer in her debut memoir, Rough Magic, “implausibly, against all odds, I won a race labeled the longest and toughest in the world—a race I’d entered on a whim—and became the youngest person, and first female, ever to have done so.” In 2013, she indeed won the Mongol Derby, a grueling, 1,000-kilometer race on horseback styled after the medieval Mongol postal system. Any prosaic record of this improbable victory would sell plenty of copies. But Rough Magic doesn’t just describe one triumph: it constitutes another, and in a whole new territory. “Because my competitiveness is like a kite I refuse to pull down from the sky and examine,” Prior-Palmer writes, showcasing both dexterous imagery and hapless ambition, “it has power over me.” Through arresting landscapes and many awkward moments, she rides a muscular yet floaty prose, replete with deftly mixed metaphors and off-kilter verbs. Dogs “snorkel” along the ground and cameras “drink color” from the land. Each page of Lia Purpura’s newest essay collection, All the Fierce Tethers, demonstrates what happens when life itself is scrutinized beneath the lens of a proverbial microscope. With the revelatory combination of Purpura’s detail-oriented eye and imagination, she is able to cast a brilliant, transformative light on even the most quotidian aspects: a tin that once held mints “[c]ould be put to good use and serve again, holding buttons, coins, pills;” the dollar bills used at the grocery store can evoke a wonder of their previous purchases, the possible “bribes they sealed, drugs scored;” and when a hawk dives into grass and emerges again with a mouse, she meditates on the blood from the kill. The “sun falls on the spot where I know the blood is. Someone climbing this tree on a bright day in fall wouldn’t notice a thing, the red long gone to shadow or moss.” Purpura examines this predator/prey relationship: “the piercing and tearing was urgent and bloody, and—no proper animal would think to note this—there was no anger, waste, or meanness.” She guides the reader in this illuminative way, covering a vast and eclectic range of subjects, from prayer to irony, beauty, even to the once peaceful, now extinct Dodo. 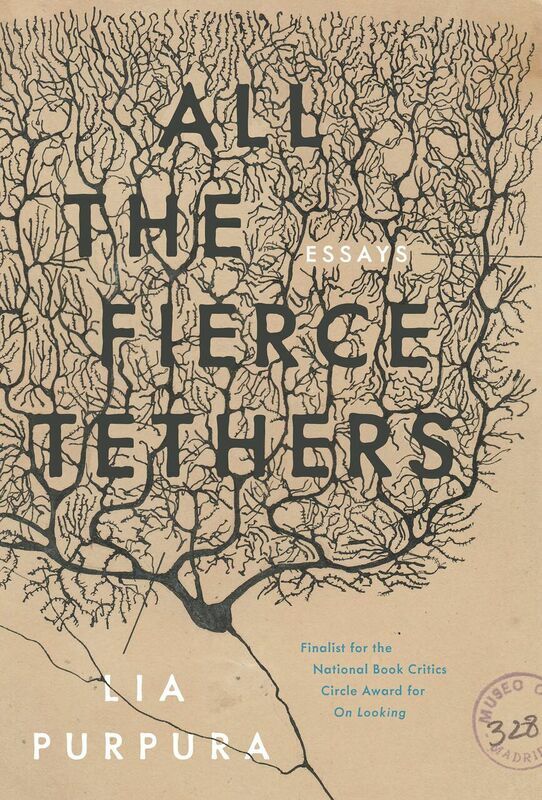 All the Fierce Tethers is both a marvel of language and a treatise on our taking the time to stop, look around, and pay attention to our surroundings and, concurrently, to acknowledge the interconnectedness of life and its objects. Written in vibrant, luxurious prose, Purpura leaves her readers looking at the world in a distinct and more vibrant way. 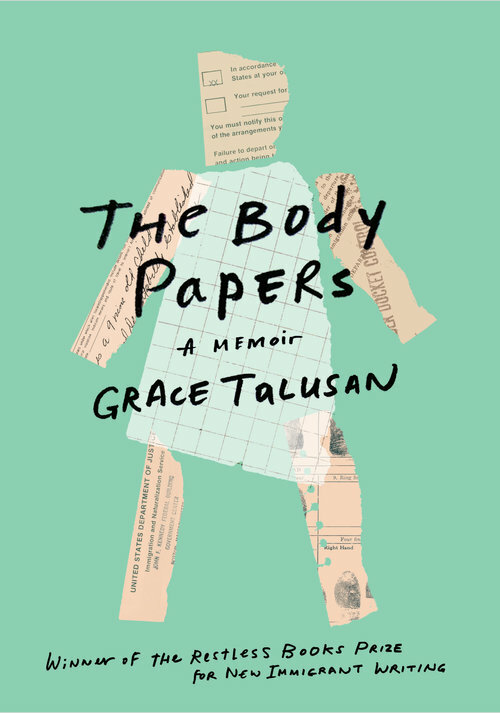 In The Body Papers, Grace Talusan positions her memoir as a series of bodies: the body of the family, the body of a city, the body of a culture and a heritage, and all link inextricably back to the personal body that Talusan inhabits. The topics she explores are numerous, which could become overwhelming if not for her undaunted prose, the connections drawn between images. The memoir itself becomes a body—many parts cooperating, an alliance of movement. It would be too simple to say this is a brave book. Talusan guides us, so we see what must be seen about how a body survives, the danger from within and without. As a Filipino immigrant, she grows within a racist society that simultaneously others her and makes her invisible. Her memoir tells us of the measures that her parents took to protect her from deportation; her sexual assault as a young girl by a grandparent, leaving her with unanswerable questions and harm to her body and mind; and the cancer she faces in adulthood, in her own body and in the bodies of beloved family members. But in each of these narratives, Talusan finds a way to reflect on love, community, and responsibility—even in their most broken, desperate forms. She writes of watching Filipinos cross the life-threatening streets in Manila: “They do it calmly and gracefully, taking a few steps and then stopping in the middle of a busy intersection, where they wait patiently for cars to cross their path. They don’t flinch when a car brushes past them. They don’t scream or jump when a car speeds towards them. Sometimes they hold on to the person next to them and they cross together, guiding each other to stop or go, now, quickly.” With The Body Papers, Talusan offers to cross with you, through distress and danger, always moving the body forward. Julie Delporte’s This Woman’s Work, translated by Aleshia Jensen and Helge Dascher, is a beautiful and resonant autobiographical meditation on art, gender, and identity. The author sifts through her cultural consumption to find the root of her frustrations with gender inequality, sometimes so deeply ingrained that it is impossible to pinpoint their original source. She wonders, “What are the images that hold us captive?” Captive, that is, in repeated performances of gender that feel impossible to break. In pursuit of this question, Delporte presents the reader with her recollections of paintings, film stills, statues and texts, all evoked in bright and expressive colored pencil. Through vignettes, she wrestles with difficult breakups, pregnancy, and the fear of being alone. She expresses her anxiety and frustration with gender roles too. Recalling experiences of sexual assault as a child as well as potent micro-aggressions and barriers ingrained in the language of the adults she loved—and indeed, language itself, the masculine-centric French—the artist seeks to be liberated from womanhood, imagining herself as a wolf or a dolphin. At the same time, much of her meditation centers on the life of Tove Jansson, a Finnish author and painter whose story and work inspires Delporte to explore her own trajectory as a working artist and the additional stumbling blocks that female artists face. Still, as she reads Jansson’s books and letters, it is through them that she eventually begins to feel that she is finally able to find that she is “falling in love with the idea of being a woman.” While This Woman’s Work captivates in its personal expression of womanhood in all its vicissitudes and complexities, Delporte, by placing her life within the contexts of larger cultural narratives and the lives of other artists, also earnestly opens the door to other women’s experiences, asking how much of her story is her own, and how much is “the story of all women”? We’ve heard the African proverb of what happens to the grass when elephants fight, but what of the donkeys and ibexes, the boars and hyenas, the cows, camels, jackals, and gazelles, when hominids take up arms against each other? Penny Johnson’s Companions in Conflict strives to answer this question, interrogating the Israeli-Palestinian conflict through the eyes of large mammals, domestic and otherwise, whose commercial licenses are revoked, migration routes are barricaded, and find themselves on an increasingly regular basis bombed, exiled, or jailed. Don’t worry, homo sapiens, you’ll find this book interesting because it’s about you, too. On every page of Companions in Conflict, we come face to face with our human selves—infiltrating the lines and the spaces between them, occupying territory that’s not really ours. From Mahmoud Darwish wishing he were a donkey to Kafka’s jackals exhorting travelers in the Holy Land to murder Arabs with sewing scissors, Companions in Conflict, overrun with beasts of the imagination, surveys centuries of narratives that we’ve spun about ourselves, our relationships to other species. Even our piecemeal efforts to rescue these mammals—a vegan Israeli refusing to enlist in the army unless she’s issued synthetic boots; PETA calling for terrorists to stop using donkey bombs—remain oddly oblivious to the endangered among our own species. Somehow, Johnson ends this nonfiction tragicomedy on a high, if tremulous, note, invoking Terry Eagleton’s notion of “hope without optimism.” “[T]hose animals who are the most like us,” she writes, “in their ability to adapt, survive, and even thrive amid our garbage and detritus . . . will persist and flourish.” She calls for “Acts of environmental imagination,” not just to “reviv[e] a desolated landscape” but also to “resurrect . . . memories, preserve . . . what is left, [and] envision . . . possible futures.” Deep in the Negev desert, wolves and hyenas—historic enemies—have been spotted hunting together, getting along. Maybe we shouldn’t read too much into this. But then again, maybe we should. 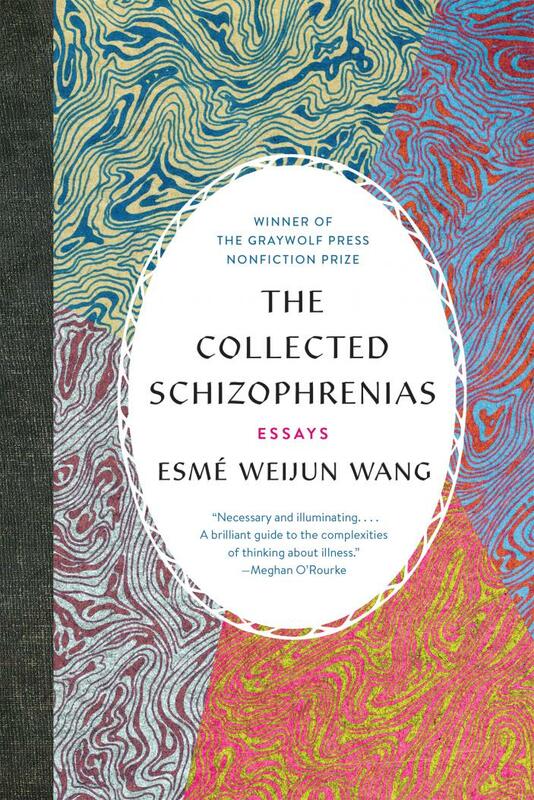 Wang raises important questions about the future of understanding the schizophrenias. She notes conflicts in future research between the APA’s mental health handbook DSM-5 and the NIMH’s Research Domain Criteria project; between those who would fight for involuntary hospitalization and mandatory treatment, and those who want to protect individual autonomy; and between the perception of the schizophrenias as “signs of mental illness or psychic ability.” The Collected Schizophrenias is illuminating and important—not only because it educates and challenges—but because it forces us to consider how much we still have to work to undo historical and systematic damage, to challenge our own broken, misguided partiality towards what it means to be healthy and sane.